!! OMG, she’s the face of MAC: Dame Edna !! 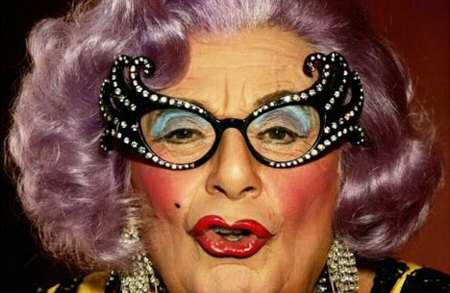 3 Comments on "OMG, she’s the face of MAC: Dame Edna"
she is very funny, very quick witted humour, puts people down alot. she’s much loved in Britain. as is the man that plays her, barry humphrys, you could not findf a more different persona, its like he’s just stepped out of the edwardian period. She is hysterically funny, but not in this clip.